Such harsh provisions and regulations arose to stop major banking runs as well as restore public confidence in the U.S. banking system; and to sever the linkages between commercial and investment banking that were engaging in ever speculative activities. In fact, commercial banks were not only investing their assets, with the money brought in through clients, but also buying new issues for resale to the public. All of which contributed to the increasing greed of such banks as they took greater and greater risks, provided unsound loans and encouraged clients to invest in the companies those loans went out to. 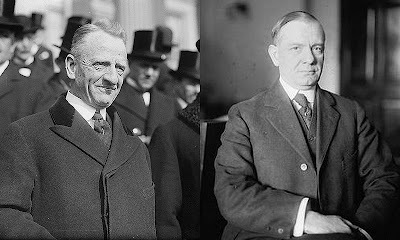 A host of other regulations expanded the power of the Federal Reserve Board in overseeing and controlling the activities of member banks to such a degree that many people, including Steagall himself, began extensive efforts to amend and even repeal the Act immediately after it was enacted. Most of the provisions, as stated under the Glass-Steagall Act, do not apply to non-member banks and savings and loan associations. Additionally, commercial banks are not forbidden from dealing with securities outside of the U. S. Loophole exploitation and exceptions such as these, in conjunction with the expanding powers Federal Reserve Member Banks received through later amendments to the Glass-Steagall Act may have led to, or at least influenced, future economic crisis. For example, a few reasons the Savings and Loan Association started to fail during the late 1980’s include: decline in the effectiveness of Regulation Q, relaxation of regulations designed to prevent lending excesses, fraud, neglected duty from the board of directors, collapse in real estate values in energy states and inaccurate evaluations of the savings and loan business. With all of the loophole exploitation and sidestepping, the Glass-Steagall Act became so ineffective that the provisions that created a wall between commercial banking and investment banking was repealed in the Gramm-Leach-Bliley Act of 1999. Written by interns Scott Baptista and Blake McDonald.